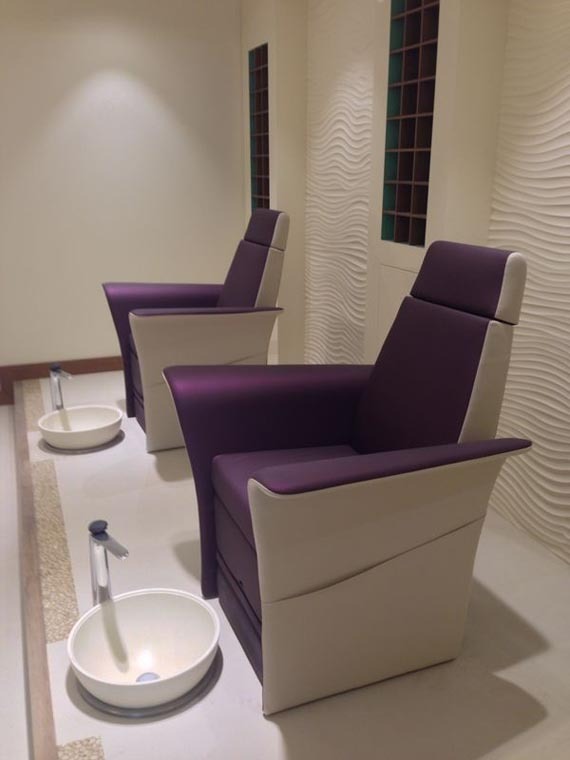 The Nail Spa is a chain of beauty salons in Dubai, offering a wide range of services and treatments for the face, body, hands and feet; from massages, facials and waxing, to manicures and pedicures. The ultimate pampering experience where you can spend a few luxurious hours relaxing and rejuvenating, whilst enjoying "multisensory" experiences and restoring your body, mind and soul. 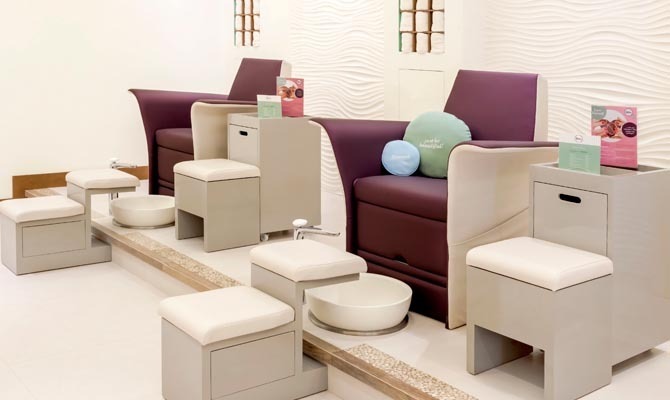 The Nail Spa salons have warm, welcoming and comfortable ambiences and modern decor, with a cream, purple, and medium brown wood colour scheme with colour accents of light green, tangerine orange, light pink and light blue. The interior design concept for the beauty salon envisaged exclusively designed quality decor that would fascinate and amaze customers. 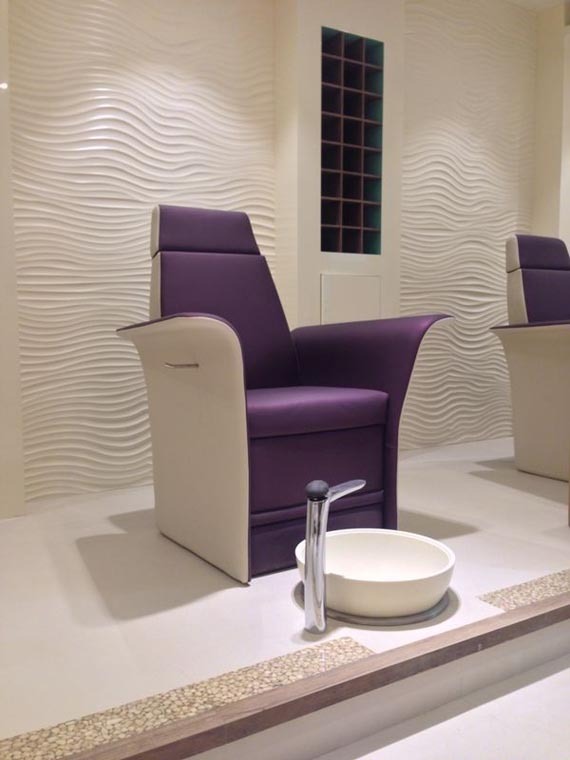 The client required mixers with a modern, unique and very recognizable design; one that was capable of impressing the salon’s demanding female customers. Therefore, designer taps made with materials that are easy to clean and maintain; suitable for public and commercial spaces. The designers oriented towards Fir Italia Synergy Stone 95 mixers, with their organic nature-inspired design; the completely asymmetrical soft, embracing contours blend perfectly with the surrounding environment, for which every detail, colour and material was chosen with great care. 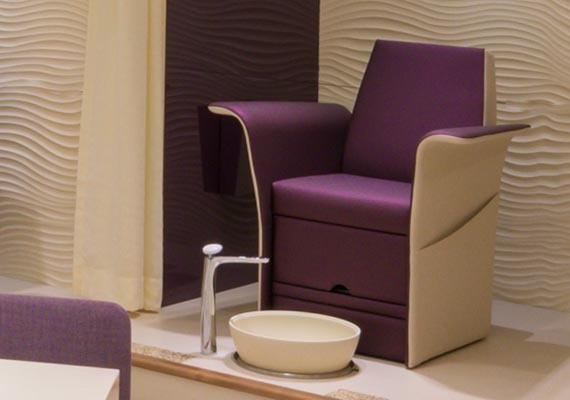 The XXL deck-mounted mixer, finished with a chrome body and Corian® Glacier White or Corian® Coffee Bean handle, was considered ideal not only for the basins in the massage rooms, but also for those present in the workstations dedicated to foot treatments, which required a very high mixer and long spout. 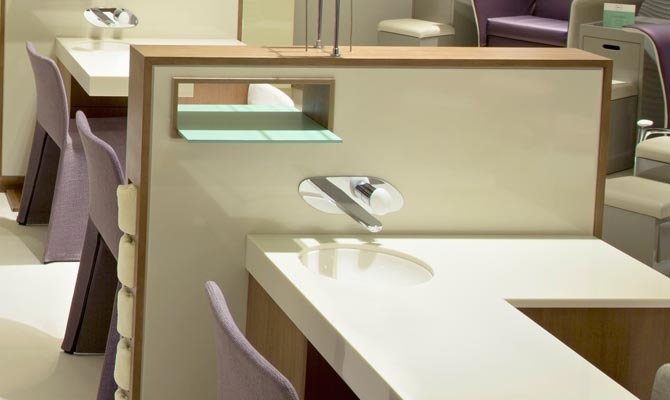 Wall-mounted taps were chosen for the hand treatment workstations, with characteristic mounting plates that were also used for the deck-mounted tap with a "Stone" handle, made entirely of DuPont™ Corian®, an elegant, warm and silky smooth material created to be touched. 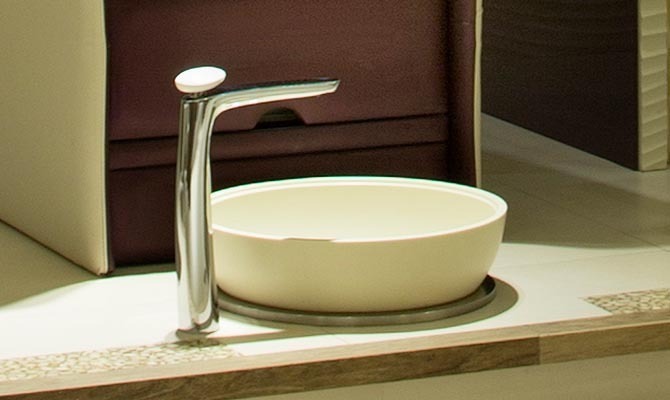 The finishing is particularly easy to keep clean: the chrome surfaces of the taps can simply be wiped with a soft cloth dampened with warm water, as can the Glacier White or Coffee Bean handles in DuPont™ Corian®, an extremely resistant, practical and hygienic material.